The college football season kicks off in earnest this weekend. So how will your team fare? WTOP Sports' Dave Preston weighs in with his first picks of the season. WASHINGTON — The college football season kicks off this weekend with 10 area schools beginning their seasons. Yes, there was a full slate Thursday (Tennessee and South Carolina avoiding scares) and there was even a game in Australia last weekend. College football has a way of already arriving before it gets here. It’s a tradition of sorts. Everything is new in College Park — from an up-tempo offense to a multiple-look defense to the stadium’s name. There is one holdover: Quarterback Perry Hills starts his third opener in five years. As a game manager in 2012, he was efficient. But last year, Hills was forced to make plays and tossed 13 interceptions. 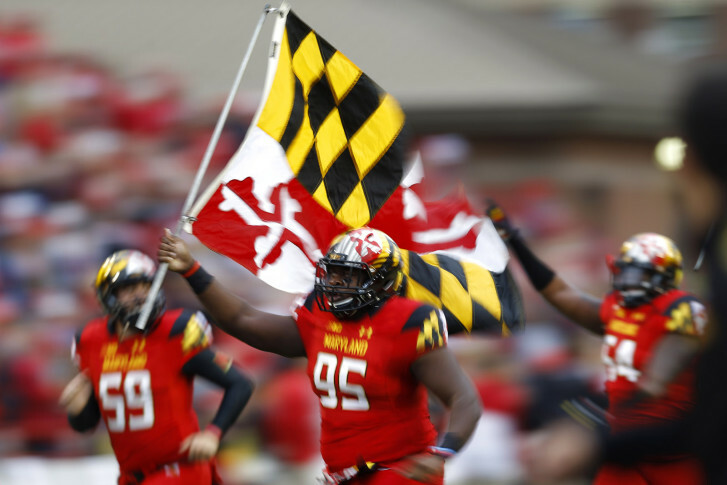 The Terps’ rough 2015 season had nothing on Howard: the Bison’s 1-10 nightmare included four losses by a single possession as well as a 76-0 shutout at Boston College. Traffic toward the Bay Bridge could spike after halftime. Presto’s Pick: Terrapins triumph, 41-10. Tago Smith replaces record-setting Keenan Reynolds at quarterback. Although the senior won’t be as dynamic, Smith directs an offense that is engineered to crank out 300 yards rushing on a weekly basis. He’ll also have deep threat Jamir Tillman at his disposal to stretch opposing secondaries. Fordham made the FCS playoffs last year. And although they lost coach Joe Moorhead to Penn State (he’s the Nittany Lions’ new offensive coordinator), the Rams return senior quarterback Kevin Anderson. Presto’s Pick: Midshipmen rip the Rams, 34-20. I love the smell of smoked turkey legs in the afternoon. It’s been the smell of victory in Blacksburg for some time. Although this fall, the winning recipe will have a couple of different ingredients. Justin Fuente and transfer quarterback Jerod Evans get their first taste of game day at Lane Stadium. Meanwhile, longtime defensive coordinator Bud Foster looks to revamp a unit that has been solid but not the usual difference-maker lately. Will a kicking game that was middling in 2015 return to the good old days of “Beamer Ball!”? Presto’s Pick: Hokies fight off the Flames, 30-14. There’s a new coach in Bronco Mendenhall and a new starting quarterback in transfer Kurt Benkert. They’ll have their hands full with a Spiders team fresh off a trip to the FCS Semifinals and ranked No. 4 in the preseason. Kyle Lauletta threw for more than 3,500 yards last fall … bad news for a Cavaliers defense that had trouble stopping the pass in 2015. Even in an autumn of change, the tradition of my Scott Stadium tailgating pals Kippy and Buffy endures. They’re kicking off 2016 with a Chateau O’Brien Petit Manseng …”full bodied white wine, erupting with crisp yet concentrated fruit expression, and offering a lingering yet clean finish.” Perfect with Brie on Carr’s Table Water Crackers. Presto’s Pick: Spiders pull a shocker, 35-32. Georgetown falls to Davidson, James Madison rips Morehead State, Towson tumbles at South Florida, Morgan State loses to Holy Cross. Presto’s record last year: 77-22.